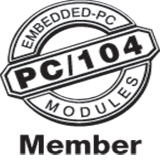 The new Raima Database Manager Embedded one_App Licensing Program provides embedded system developers with an economical way to take advantage of Birdstep's RDM Embedded product. OpenSystems Media (OSM), LLC today announced its upcoming E-cast on enterprise software in embedded applications, moderated by Jerry Gipper, Editorial Director, Embedded Computing Design. IBM and Mentor Graphics will provide an overview of the Eclipse platform and tools for developers. OpenSystems Media (OSM), LLC today announced its upcoming E-cast on Secure Operating Systems and Tools for Next-Generation Software-Defined Radios (SDRs), moderated by Chris Ciufo, Group Editorial Director, Military & Aerospace Group, OpenSystems Media. Although the U.S. DoD did more to popularize the term Software Defined Radio than any other entity, America's military is only now starting to deploy SDRs. Instead, the civilian world of cellular base stations and fire/police/federal radios is gaining more momentum in SDRs. But civilians do not have to be concerned about the same challenges as the U.S. DoD.